In today’s world one must be well protected against various unexpected eventualities. It is not always possible to pay for those from your own pocket at that very moment and hence these insurance covers which you must have in India should be a part of your portfolio. There was a time when helping a person in need was more of human instinct rather than a matter of should I, should I not. However things change and one cannot rely on fellow humans to help them out in case of any eventuality and we all must be prepared in case any unforeseen event takes place. While we cannot prevent the inevitable in life; we sure can cushion ourselves from the hard blows of life’s twists and turns and ever increasing cost of living. Insurance is a way in which we can guard ourselves against uncertain events in life. 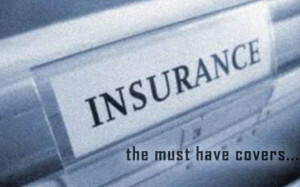 There are 5 must have insurance covers in India, that one should opt for. The most important and most obvious insurance that all of us are aware of, but a lot of us conveniently ignore because they run after returns over life insurance and end up being under-insured or pay insanely high amounts of premiums. You can read our detailed posts on why Life Insurance should be the first Investment in life, but should not be mixed with investment. Term plan is the way to go and should be taken right away if you haven’t taken it. Evaluate your financial needs and goals currently and how will they be affected if in your absence so that you can choose an adequate amount of sum assured to safeguard your loved one’s in your absence. Medical expenses are rising and one cannot know when they would need hospitalization. We all hope and pray that we don’t have to, but in case we do, the bills shouldn’t cause a situation like the Bollywood movies of the 80’s where the hero had to run from temple to the local goon or enter a boxing or fighting game to get money to pay for their loved one’s hospitalization. In real life the wounds you would most likely sustain with such act will add to the already existing medical bill that you have to pay. Instead take a simple approach and get a health insurance policy from companies that have a good claim settlement record. Talk to people you know, Google about feedback of various companies, go through the facilities and coverage they provide incase of hospitalization and medical emergencies, read the fine print and choose a plan as per your needs. If still not convinced refer here to understand why is mediclaim important. While a good health plan will take care of your medical bills, there are certain cases and illnesses that these plans do not cover. Some critical and even life threatening illnesses can eat up all your savings and while the agony of the sickness cannot be fixed with the critical illness cover, it can safeguard you against some huge medical expenses. Critical Illness cover will cover illnesses such as cancer, heart disease, diabetes, tumors, kidney failure, and more. Again as with any other policy, evaluate, talk to people, do your research and read the terms and conditions and then choose a policy. A good health insurance and a good critical illness cover is the way to go. This one as the name suggests guards you against the possible situations arising out of accidents that may cause death or disability. There are 4 eventualities covered under the accidental insurance namely accident causing death, accident causing permanent total disability, temporary total disability, permanent partial disability. The premium in this case is dependent on the occupation of a person, for instance a bank official serving a desk job will have to pay a much lower premium compared to a person working in a factory’s manufacturing unit. This is because the insurance companies would obviously evaluate the chances of you having an accident before deciding on your policy details and payments. None the less, having an accident cover does help a lot and hence is one of the essential insurance covers you must have. If you have a home loan, chances are you also have a home-loan insurance that will take care of your liability in-case of your unfortunate absence. However this does not cover you from any damage that might occur to your home. Also even if you don’t have a debt, it is a good idea to have your home insured. The house holder’s insurance or home insurance covers any loss that you may incur due to burglary/theft, fire even if caused due to gas leak in kitchen, earthquakes, floods etc. Now a-days insurers even provide cover for any loss due to terrorist attacks. If you can afford to shell out some extra cash in a year, one should opt for this insurance. It is not too expensive to have either. The above mentioned insurance plans are among the often ignored either due to negligence or lack of awareness. If at this given point of time you cannot afford all these plans at once, start with life insurance and health insurance, then slowly progress towards the rest. Pray and hope that you may never have to lay claim under any of these policies but be prepared with them as the saying goes “hope for the best but prepare for the worst”. Also car insurance is one such insurance that you should opt for if you have a car. However firstly, you will already have third-party insurance for your car as it is mandatory and if you have a personal accident cover as well, separate car insurance is something that you can decide whether to have or not and hence it isn’t mentioned in the ‘essential’ insurance covers.